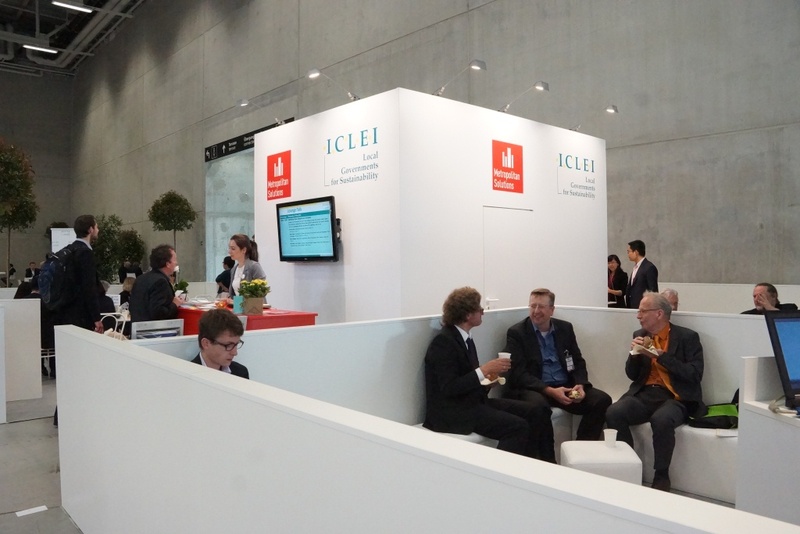 The second day of ICLEI’s Lounge Talks at Metropolitan Solutions 2015 began with a discussion on ecomobility. 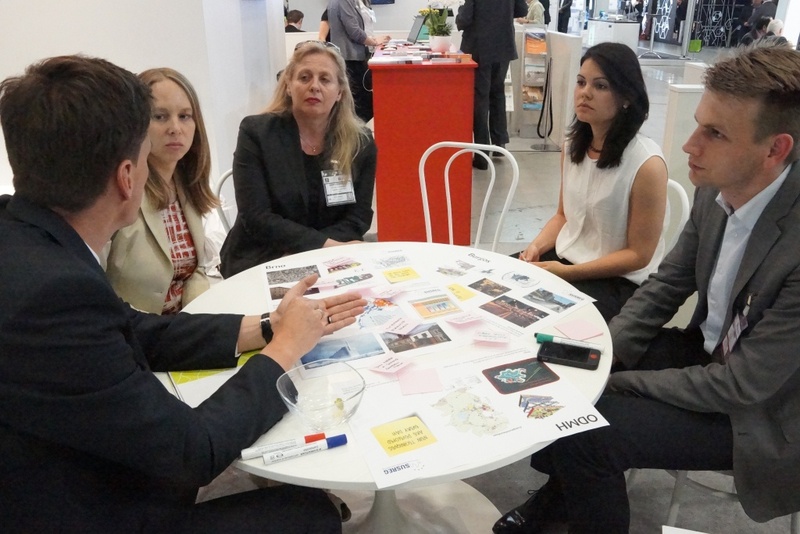 After presentations on Doppelmayr’s urban cable cars and Rupprecht Consulting’s Sustainable Urban Mobility Plans, participants engaged in an animated debate on how to make transport more environmentally sustainable. Speakers acknowledged that citizens are liable to opt for the easiest and cheapest mode of transport. Wholesale modal changes in transport would therefore be difficult to implement. Instead, companies like Doppelmayr and apps like Zeitmeilen are working to complement and improve existing transport systems wherever possible. Participants also considered how best practice could be shared. Some noted that cities were reluctant to publicize the changes they were making. Equally, cities keen to make changes are not looking to other cities for answers. The cable cars that had been successful in Koblenz and elsewhere could be replicated in other German cities but this best practice was not being replicated. Finally, participants highlighted the need for political courage around ecomobility. Many solutions, like Doppelmayr’s urban cable cars, are already available. Yet in implementing visible changes, politicians often face resistance from opposition parties, businesses, and from citizens themselves. Following this, transportation start-ups pitched their projects and initatives to the the European Commissioner for Transport, Violeta Bulc, in the ICLEI Lounge. In the afternoon, Gordon Feller of Cisco presented Cisco’s approach to making cities smart. Cities, he pointed out, have a tendency to operate in silos, resolving individual problems in a piecemeal fashion. Cisco’s approach, conversely, is “to look at the city as an integrated system” and to build an “ecosystem” of small, medium and large companies that deliver solutions to the city government. Feller noted that “cities are really hungry for things that go beyond guesswork”. To meet this demand, Cisco helps to collect data and, importantly, to extract the relevant information from it. One example concerned garbage cans in Barcelona. Truck routes for collecting garbage are traditionally inefficient, contributing to congestion and greenhouse gas emissions. Cisco helped companies to install sensors in the cans, allowing for a central monitoring. When a collection is required, a truck is dispatched, avoiding long and unproductive routes. In a later session on urban solutions platforms, three organizations presented their online tools for city-business collaboration. ICLEI discussed its Solutions Gateway platform, which offers tailor-made packages of solutions for local governments following a low-carbon path. It is now possible for private sector organizations to apply for selection as a solutions provider, giving their tools and products exposure to local governments. Metropolis presented its Metropolis Policy Transfer Platform, which was conceived as an “online dating tool” for cities. CSR Europe showed its Sustainable Living in Cities Impact Map, which highlights best practices from cities and businesses on sustainability. Three different types of projects are highlighted: commercial partnerships, pre-commercial collaborations, and multi-stakeholder strategic alliances.